On Mytilus Seamount, a bamboo coral is attached to the black basalt rock formed by a now-extinct undersea volcano. The yellow animals on the coral are crinoids, or sea lilies, in the same major group of animals as sea stars. The summit of Mytilus Seamount is 8,800 ft below the surface of the ocean. The dramatic terrain of these canyons and seamounts forms a unique biologic hotspot, offering food, shelter and nursery habitat to a diverse range of endemic and migratory sea life in an otherwise austere environment. Scientists have found many different species of cold-water corals living here, including species that have been found nowhere else on earth. 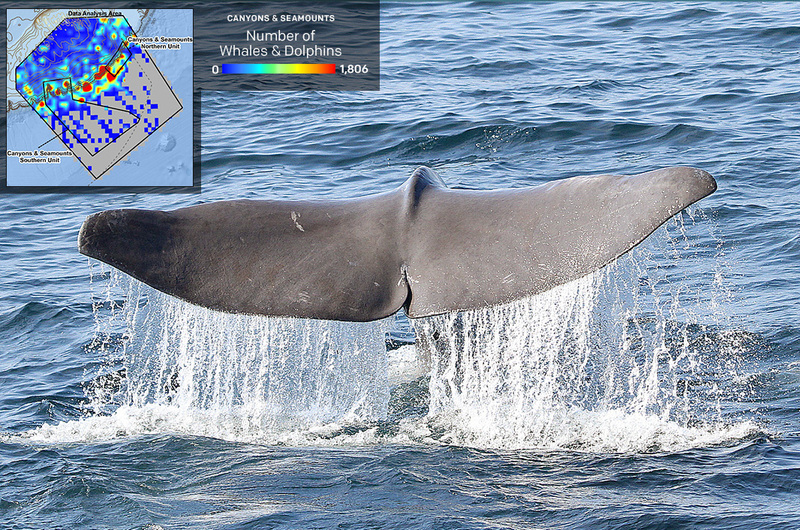 On March 29, 2017, Earthjustice—representing the Center for Biological Diversity and Zack Klyver, Head Naturalist for the Bar Harbor Whale Watch Company—along with the Natural Resources Defense Council and Conservation Law Foundation filed a Motion to Intervene in a case brought by the Pacific Legal Foundation. 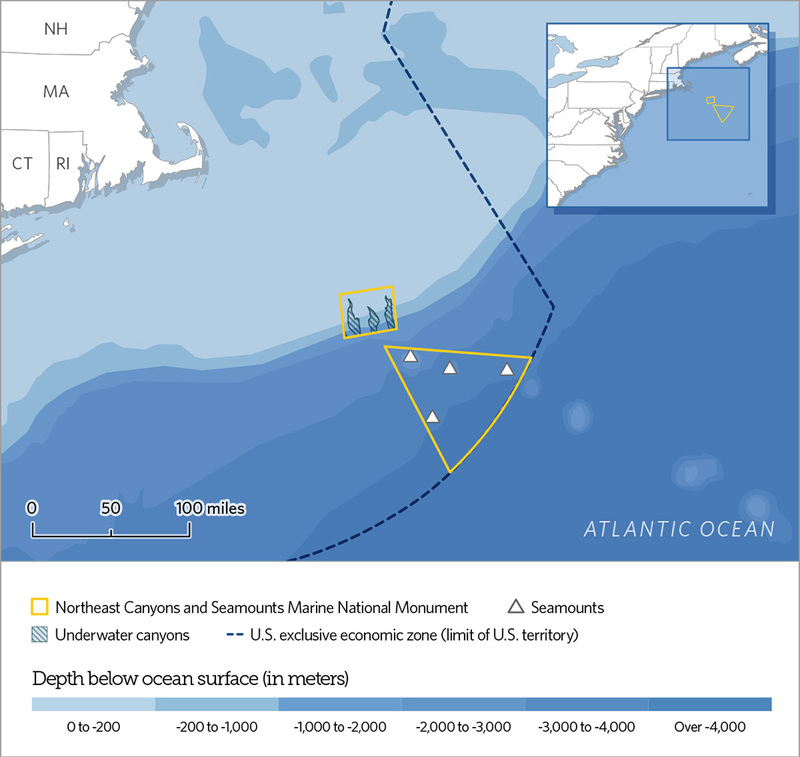 On March 7, 2017, the Foundation brought the case on behalf of several commercial fishing organizations to challenge President Obama's designation of the Northeast Canyons and Seamounts Marine National Monument under the Antiquities Act in September 2016. The case was filed in the U.S. District Court for the District of Columbia, and has been assigned to Judge James E. Boasberg. In April, President Trump issued the “America First Offshore Energy Executive Order,” directing the Department of Commerce to review the designations and expansions of 11 national marine sanctuaries and marine national monuments, including the Northeast Canyons and Seamounts Marine National Monument . A federal court dismissed an industry challenge to the first marine national monument in the U.S. Atlantic Ocean. Zack Klyver, Senior Naturalist with the Bar Harbor Whale Watch Co., Earthjustice client: “The idea of opening up the monument to commercial fishing defeats the purpose of having it"